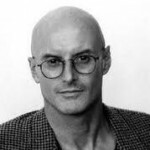 Ken Wilber is a leading voice in Integral Wisdom and the author of more than 25 books which have explored the frontiers of enlightened living in the 21st century. He is also the most widely translated academic writer in America, with some 25 books translated into some 30 foreign languages. His works have been the most influential in defining Integral Theory, which is an emerging discourse striving for the coherent organization, coordination, and harmonization of all of the relevant practices, methodologies, and experiences available to human beings. His latest work is The Fourth Turning: Exploring the Future of Buddhism which suggests a practical but profound way forward for the Buddhist tradition. Wilber’s work is relevant to an extraordinary number of academic disciplines on the one hand as well as individual seekers and mystics on the other. This may be the case because in our time traditional, modern, and post-modern philosophies have been discredited and a significant number of people are looking for alternatives. Wilber’s version of Integral Theory charts a course out of the fog. He and other scholars have used Integral Theory to investigate and re-vision fields such as biology, business, cultural studies, developmental psychology, ecology, law, medicine, politics, religious studies and spirituality, and systems theory. In 2000 Wilber co-founded the Integral Institute, a think and practice tank for studying issues of science and society in an Integral way. According to the Institute, its “vision is that humanity lives with the awareness necessary to compassionately integrate the fragmented and partial perspectives of differing pursuits of the good life.” The Institute published the Journal of Integral Theory and Practice which has devoted an entire issue to Unique Self, the next chapter of Integral thinking in personal enlightenment. The Meta Integral Foundation continues to publish this important academic publication. Ken Wilber is–next to Marc Gafni–the initiating Thought Leader and Co-Founder of the Center for Integral Wisdom. He has served as the Leading Voice on the Wisdom Council of the Center and has helped to shape the emerging Activist Think Tank. Together with Marc Gafni he is co-writing the main think tank book in progress of the Center called World Spirituality based on Integral Principles.